These homemade Cream Tarts with creamy fillings and topping of a variety of fresh fruits. It is also from all over the world it is very good for parties and celebrations. I gave a batch to a christmas party and after 5 min of dessert tim it was all gone with no more for me. Make sure you make quite a bit so you don’t run out, its definitely worth it. Ingredients: 1.) 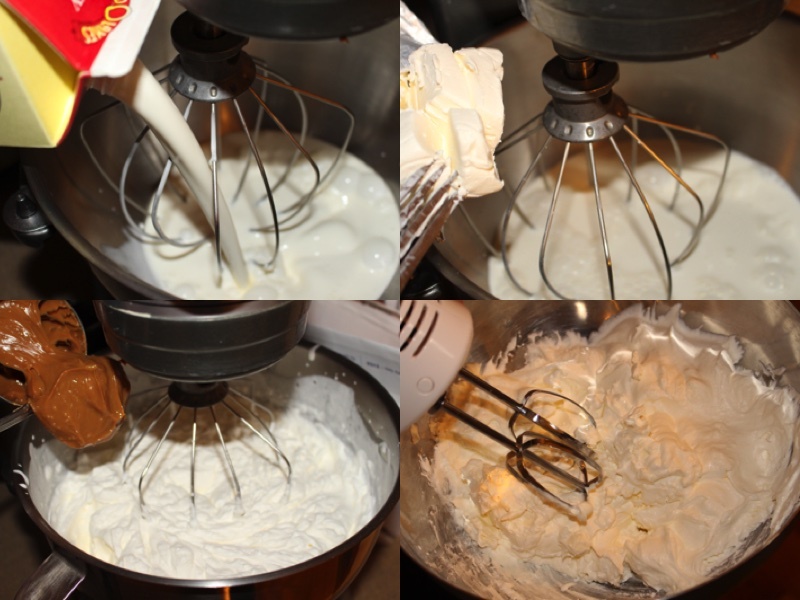 In a mixing bowl add Heavy cream and cheese cream, mix together. 2.) Add Dulce de Leche and beat together on medium speed until soft. 3.) 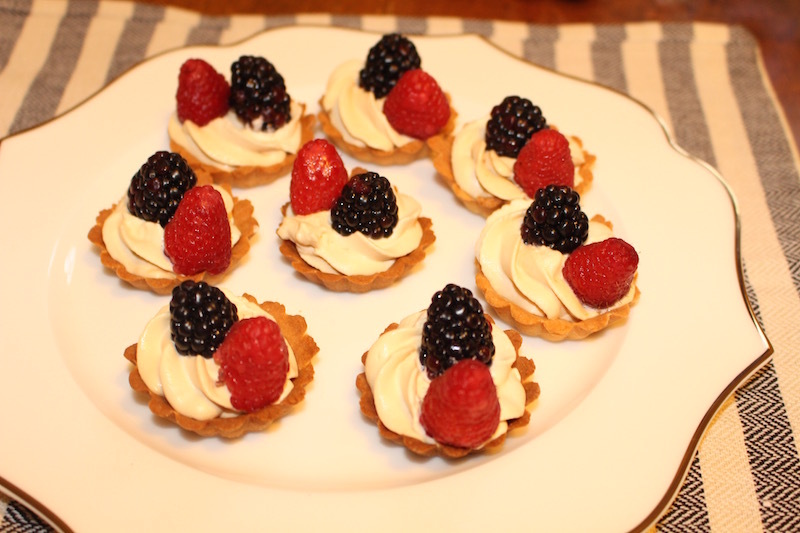 Take homemade tart shells from the tart shell recipe that can also be found on my blog. 4.) With a open star piping tip pipe out roses that fill the holes on the shells. 5.) Wash and dry the fruits, add them as a topping for the cream. Serve to your guests, Enjoy! 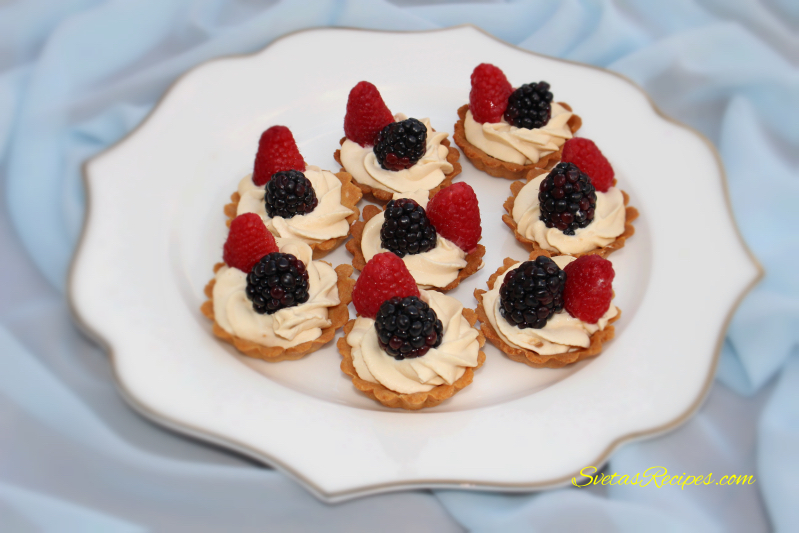 These homemade Cream Tarts with creamy fillings and topping of a variety of fresh fruits. It is also from all over the world it is very good for parties and celebrations. I gave a batch to a christmas party and after 5 min of dessert tim it was all gone with no more for me. Make sure you make quite a bit so you don't run out, its definitely worth it. 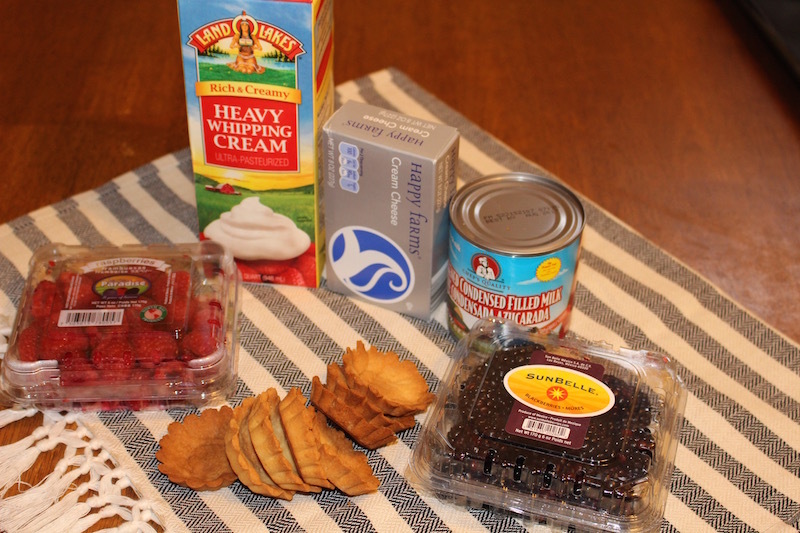 In a mixing bowl add Heavy cream and cheese cream, mix together. Add Dulce de Leche and beat together on medium speed until soft. Take homemade tart shells from the tart shell recipe that can also be found on my blog. With a open star piping tip pipe out roses that fill the holes on the shells. Wash and dry the fruits, add them as a topping for the cream. Very creative and very beautiful! Thank you!